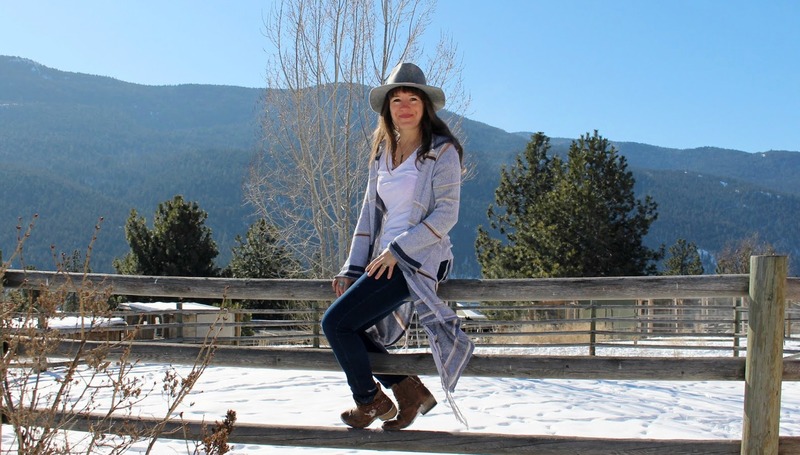 I'm Miriam, 39 years old, and I live on a hobby farm in beautiful British Columbia in Canada. I started this blog on a whim 6 years ago, with no plan what it would be about. 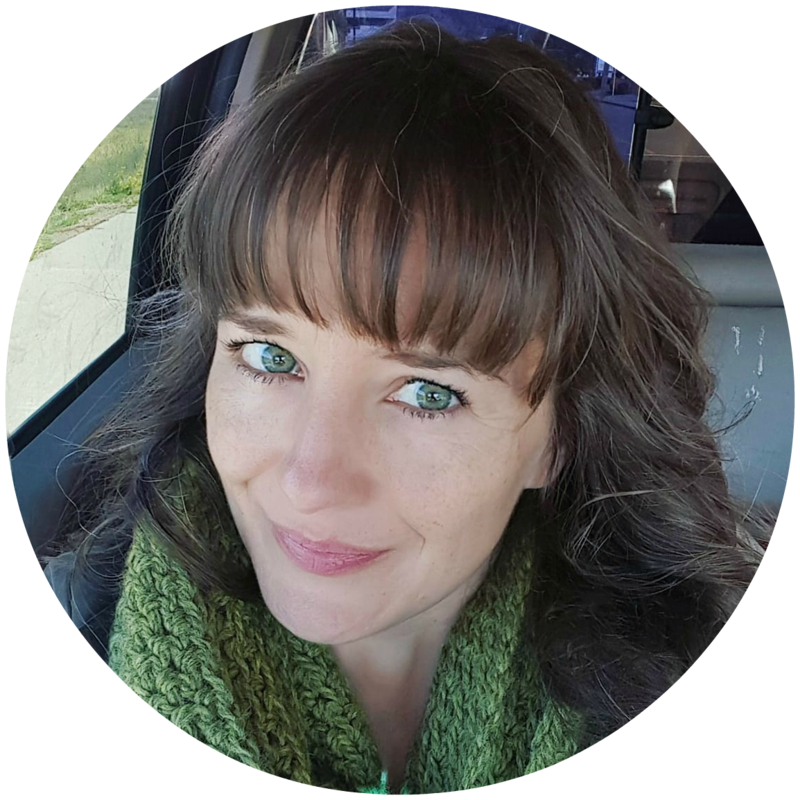 My focus has since evolved into writing about how to create a happy life despite the fear. I should know: Being cursed with both a fearful yet rebellious nature, I've had to fight these two opposing character traits my entire life: Do I want to unhappily conform, or happily (yet scared to death) go my own way? I've tried both paths, and let me tell you, I have found that if I do what my heart tells me to, I end up a gazillion time happier. However, choosing that path has never been easy: It meant dropping out of college and moving halfway across the world, because I fell head over heels in love with a man whom I knew for about 5 minutes. Did I mention that he was a father of 4, and 25 years older than me? To everybody's surprise, it worked out, and we have been married for over 14 years. Choosing that path also meant making the decision not to have kids of my own, which was much more controversial to some people than it should have been. Two years ago I left a secure job to fulfill our lifelong dream of living in the wilderness of Canada. Well, as much as a place can be considered 'wild' when it's only a 15-minute drive away from the next WalMart. But we do have coyotes and bobcats in our backyard, and there are real cowboys living in our neighbourhood. I had no idea if and when I would find a job, but 6 weeks after the move I was hired at the local rural hospital, which is a much better (and more unusual) job than I could have ever imagined. It also allows me to follow my passion: writing. I've written a memoir about our love story, which is the fulfillment of a life-long dream, and something I'm very proud of. 1. My secret power is estimating time. I have a knack for estimating down to the minute how long it will take to get to a destination. Even if I have never made that journey before, I seem to have an instinct for knowing when to leave in order to make it on time. It's a weird talent to have, but it comes in handy. 2. My husband has Lyme Disease. Like most patients, it took a while before it was diagnosed, and he went through hell before we figured out what he has. To learn more about this mystery disease, click here. He was treated with antibiotics for 6 months, and is currently doing really well. It's a chronic disease though, which means he still has bad days, and maybe always will. I give regular health updates here. 3. I've had depression since I was a teenager, but didn't seek help until I was 33. Having my husband drag me to the doctor was the best thing he's ever done for me. I also found out recently that I have PMDD, Premenstrual Dysphoric Disorder, which is depression on steroids. I wrote about it here. 4. I was a lumberjack for 6 months and learnt how to cut down trees with a chainsaw. 6. I drink a ton of water. 4 litres a day are easy, baby! 7. I'm an introvert, but didn't realize that until I was 34 years old. Have I mentioned that I'm also a late bloomer? 8. Most of the people I hang out with are roughly 20-30 years older than me. 9. English is my second language. I was born and grew up in Germany, and moved to Canada when I was 23, because I fell in love with my husband. 10. I wrote a book! 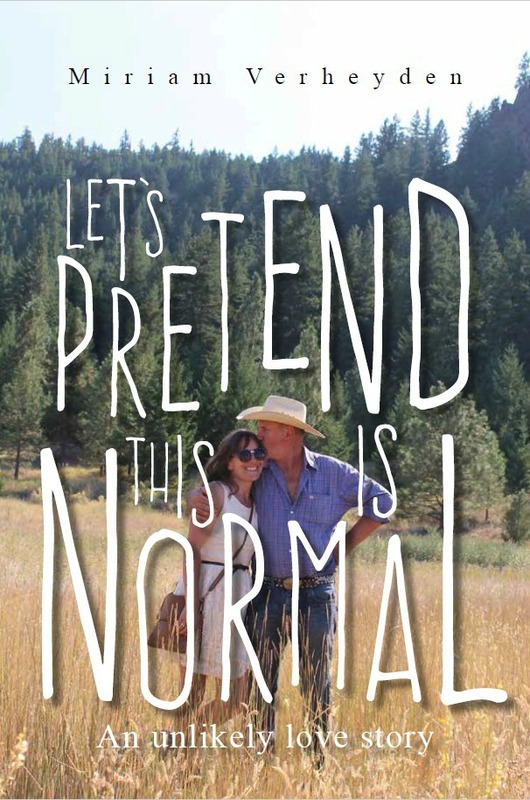 My memoir Let's Pretend This Is Normal is out now! Writing is my passion. Like Joan Didion said: "I write entirely to find out what I'm thinking, what I'm looking at, what I see and what it means. What I want and what I fear." That's why I write. It's not always easy; in fact, it's one of the hardest things I've ever done. But I've tried life without writing, and I felt like a blind woman, stumbling about without knowing where I was going or what was going on around me. I have learnt that to be happy, you have to do hard things; that's my hard thing. If you want to read more of my writing, you can find it on Thought Catalog, Thrive Global and SheSavvy. Still don't have enough? Subscribe to my newsletter, where I share how to live out loud! Thank you so much for swinging by my blog and for your lovely comment - I really appreciate it. You're dog is gorgeous, I'm sooo incredibly jealous that you live on a farm and the story about you and your husband was a lovely read. I too look forward to exploring more of your corner of the internet. Gosh I really love this blogging business, it's the perfect mix between the real and virtual world. So excited for new blogging pals like you! Miriam! thanks for the very sweet comment you left on my blog! It's wonderful when you hear that someone agrees with your view points on things, and it was super encouraging to read! I'm glad I found your blog! I have always been interested in the lifestyles of the people who own hobby farms, living in rural Minnesota I always drive past these place and my imagination goes crazy wondering about how people staying there lead their daily lives! I can't wait to dive into your blog and read more about your way of living! You sound a lot like I did at 21,it's crazy! Can't wait to see where your journey will lead you... keep me/us posted! The blogging world is like reality TV except realer (is that a word?) - I love it. I found you via the lovely Danielle (underland to wonderland). I'm loving what I have read so far! Can't wait to read more! Also, love your native country and can't wait to visit there again! Wow you have such an interesting story! You seem to have a really unique blog & I'm excited to read more! Just started following! I love finding unique stories like yours, and living on a farm had me sold. Not to mention my husband is 18 years older than me, so I try to sick me my old soul sistas! Hi Christina, I'm just back from visiting your lovely blog, I'm following you too! Your minivan announcement is so cute and original, I got goose bumps. Plus I LOVE your tattoo! It's always wonderful to meet new people you have something in common with, especially other unique couples. Just found your blog and I must say I am hooked! Such an interesting and unique space! Subscribing and looking forward to discovering more. What is it with Canadians and their persuasive selves? My husband did exactly the same, except that he stole my seat on a train in the UK. How frustrating. I still haven't forgiven him. looking forward to keeping up. I found your blog recently and now I am hooked, stopping by every couple of days to see what is new. I poked around in your archives, trying to pace myself to not read through all the good stuff in one go (which is totally possible, ending in me getting no sleep at all and being cranky the following day. Beware of that.). Canada seems to really suit you, and I am so happy for you that you found your place in life. You are an inspiration to me, and not only for getting back into my yoga routine. I always tell people that I am an eternal optimist as well, I just need to be reminded of my beliefs from time to time. Also, the similarities popping up here and there put a smile on my face – I should send you a picture of my horse. Dear Bettina, I never quite know how to express adequately how much comments like yours mean to me. I will try anyway: Thank you, thank you, THANK YOU so very much for your kind words! Receiving such great feedback makes me happier than I know how to properly put into words. I love when people like what I write, and I hope I can continue to inspire and entertain. Dear Sheela, thank you from the bottom of my heart for your wonderful and kind words! Comments like yours are so precious to me, and one of the best parts of blogging. I write about the things that made me feel different, isolated, and alone for way too long, to let others out there know that they are NOT alone. I'm so happy when I know that my stories might help someone else in a small way! I must say I'm very envious of you living in Canada! My husband and I have visited twice and my absolute favourite place was BC - it's so gorgeous there! My husband favours Alberta for obvious reasons but one day we'd like to go back. For a while we even thought about trying to move there but then decided we're happy enough here in Portugal. I loved reading all about you and your life! Sweet, a Canadian from BC. Metoo. Aside from 4, 6, and 10 we have something in common. Should I say, eh?